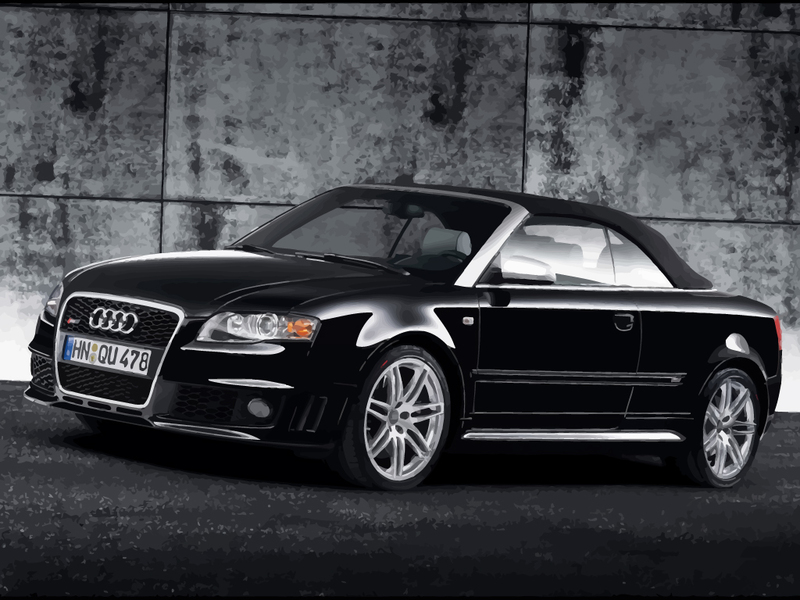 Download free black Audi RS4 vector wallpaper in AI and PDF formats. Audi RS4 is the high-performance version of the Audi A4 range. It's the fastest streamlined sports car by Audi. In some countries the car is called sport compact. RS stands for the German 'RennSport'. Original wallpapers are © of respective artists.